Those pictures of Australians with corks hanging from their hats should act as a warning. 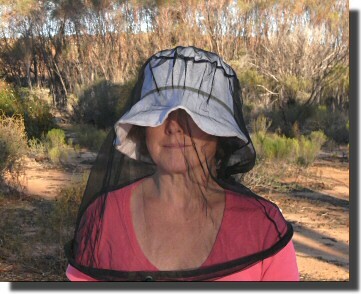 There are lots of places in Australia where the combination of heat and insects can make your life a misery. 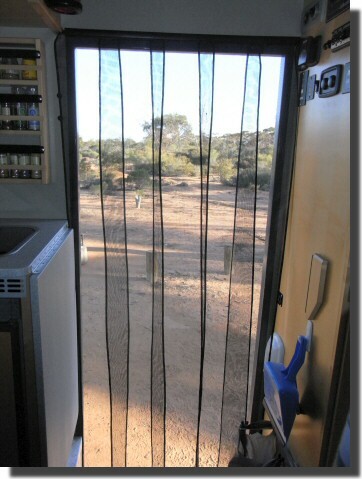 Below is a guide to surviving Australian insects in your campervan. The enemy: There are ordinary flies that just get up your nose and in your ears, but don't bite. 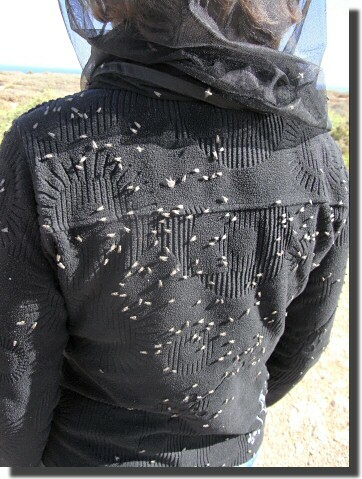 Then there are bigger flies that bite (March flies or horse flies). 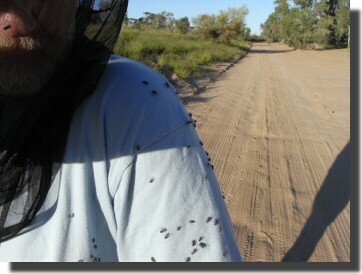 And there are also mosquitoes, gnats and sand flies. 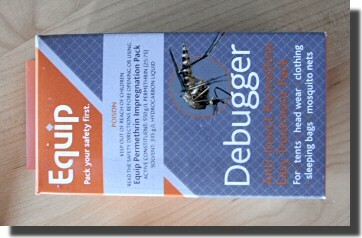 To defend yourself against Australian insects you will need some or all of this lot. 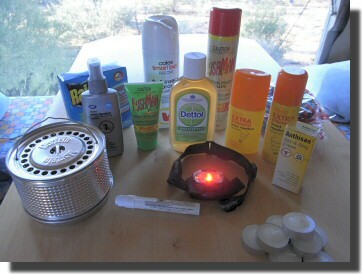 (Mosquito coils, insect repellant, combined insect repellant and sun screen, fly spray, Detol (for sand flies) and citronella candles. After you have been bitten Anthisan may help. To avoid attracting insects into your campervan you may want to turn all your lights off, then you will need the red head-light. You will, of course, need screens on all your doors and windows. And it does help to treat these screens with Permethrin. 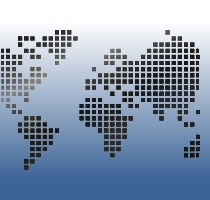 If you do then mosquitoes that come into contact with your screens will die in about 20 minutes. 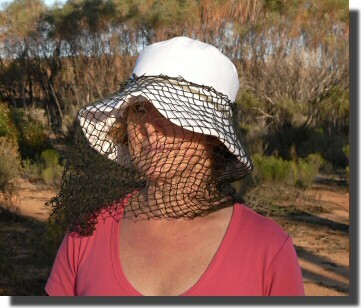 In lots of places you need a fine fly/mosquito net over your hat. You will feel embarrassed wearing one in public for the first 10 minutes, then you notice that everyone else is still waving their arms about all the time, and you aren't. 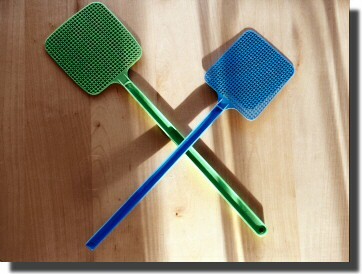 If there are only flies then a coarse fly net may be all you need (they are cooler than a fine net).